As we continue our – “In Their Own Words, The Case for dot___” series, where various new gTLD registries/operators, present their ‘case for’ their gTLD as we lead up to NamesCon, we are pleased to have as our third gTLD guest in our series, Jeffery Sass with dotCLUB. When he heard that ICANN was going to allow applications for new generic Top Level Domains Colin Campbell was interested. As a former founder of both Tucows and Hostopia, and having served on the Canadian Association of Internet Providers (CAIP), and the Canadian Internet Registration Authority (CIRA), Colin believed there could be great opportunities around verticalized TLDs – words to the right of the dot that actually mean something. After quite a bit of research, Colin found himself drawn to the word “CLUB” and .CLUB Domains, LLC was formed to apply for the .CLUB TLD. The word “Club” is a global brand. It is spelled the same and means the same all over the world. It is short and easily recognizable, and it is memorable. Most of all, it is meaningful. Add “club” to almost any word or expression and it immediately represents a community around that word or expression. We see .CLUB as a social domain, an extension that represents people coming together around a common interest or passion. Existing Clubs and Membership Organizations – There are millions of clubs and associations that have settled for long or unclear domain names who can now benefit from a .CLUB name. Brands and Retail Loyalty and Affinity programs – Retailers and brands that already have established loyalty and affinity programs or community pages on social networks can now brand their community under a great .CLUB name. Instead of a Social Network URL or a long, awkward subdomain address, brands can establish a clear and easy to remember name for their community and fan destination. Www.brandname.com/store/loyalty can become www.brandname.club. Online Groups – There are hundreds of millions of Facebook Groups and groups on LinkedIn, Yahoo, Google and other social networks. Many of these groups are really “clubs” that can take ownership of their brand and use a .CLUB name instead of a long and complicated domain under the social network. This will make it much easier to market and promote their name, brand and community. Sports and Entertainment – Most sports teams refer to themselves as “clubs” especially outside the U.S. Every community has golf clubs, tennis clubs, country clubs, yacht clubs, hockey clubs, etc. Every band has fan clubs. Every neighborhood has night clubs. Not all of them have great domain names that immediately express what they are. Now they can. Passionate Consumers – Everyone has something they are passionate about. Our pets, our clothes, our gadgets, our music, our hobbies. 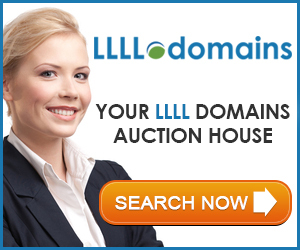 Now anyone can get a great .CLUB domain name to express their passions and interests. We wanted to make sure it is as easy to get a .CLUB name as it is to get a .COM name. With that in mind .CLUB is an open domain with no restrictions or special requirements. Anyone can get a .CLUB name. We have also priced .CLUB names with mainstream adoption in mind. During Trademark Sunrise and Land Rush periods, the retail price for a .CLUB name should be around $200. During General Availability (expected to be May 1, 2014) the retail price for a .CLUB name should be less than $20. We’d like to thank Jeffery Sass for sharing his Case for dotCLUB, and we hope it was beneficial and informative reading. Tomorrow our ‘In Their Own Words’ guest will be Robert Rozicki with dotSKI.